Dovey Wan and Martina Long are partners at Primitive Ventures, a crypto asset investment fund. Recently, there has been discussion regarding a proposal to migrate ethereum away from proof-of-work called ProgPoW (short for programmatic proof of work). Proponents of ProgPoW want to flip the paradigm of the cryptocurrency mining industry on its head. Their thought is: instead of building hardware to fit the mining algorithms, a somewhat “wasteful” approach, we should be using mining algorithms that are optimized for GPUs to encourage the decentralization of mining. At first glance, ProgPoW appears to minimize the advantage ASICs have over commodity hardware, making mining more accessible and thus decentralized. But upon further inspection, it becomes evident that ProgPoW doesn’t truly democratize mining as it claims. The current implementation of ProgPoW, in fact, worsens the performance gap between the different GPU models, with preference given to the newer and more expensive GPU models from NVIDIA and AMD (the RTX 2080, TitanX and Vega 64). The team behind the proposition has been transparent about the fact that the algorithm is optimized for certain GPUs, and they are actively working on a newer version of the algorithm to make it more fair to all models. The table below illustrates the hashrate reduction comparison between Ethereum’s current mining algorithm, Ethash, and ProgPoW for different GPUs. Highlighted in red are the models ProgPoW favors, which see a much smaller decrease in hashrate and greater improvement in bandwidth utilization under ProgPoW. The implementation of ProgPoW in Ethereum will potentially serve to centralize mining further in the hands of those mining farms which have these high-end GPUs, or urge farm owners to upgrade to those models. Putting that fact aside, the “ASIC threat” that ProgPoW purports to solve is actually not as much a problem as one might think. Even ProgPoW developers acknowledge that Ethereum’s algorithm is already one of the most ASIC-resistant. The best Ethereum ASICs have a tough time achieving a mere 2-4x improvement over GPU mining, far less than Bitcoin ASICs. 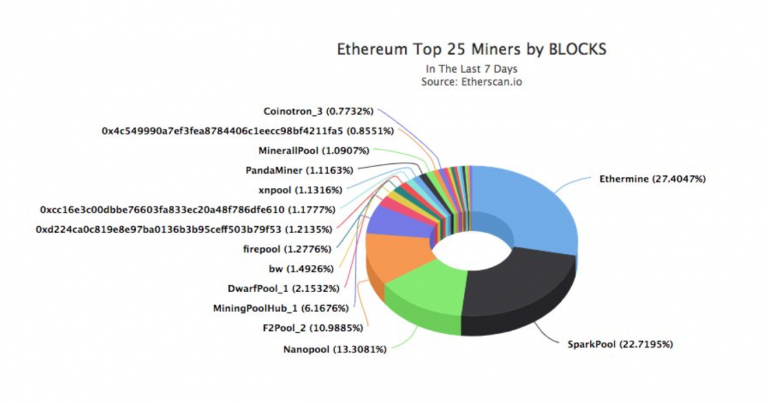 Indeed, though it is difficult to know exactly what proportion of Ethereum mining is performed by ASICs, most sources estimate that it is probably quite low. The “ASIC problem” is largely a non-issue for Ethereum. This is because an ASIC must have long-term potential to be worth the high upfront cost to miners. Unlike GPUs, ASICs are highly specialized machines specific to the mining algorithm they are developed for, and are useless for mining other chains. With the switch to PoS planned for Ethereum in the near future, it doesn’t make economic sense for most miners to further massively invest in Ethereum ASICs for their brief lifespan. The reasoning behind the argument that GPU mining is more secure is that, in theory. it makes mining accessible to the layman, and thus more decentralized and resistant to 51% attacks. Regular “at-home” miners can’t afford expensive ASICs, and thus if we want to encourage decentralization, GPUs are a better option. But in reality, even GPU mining is largely concentrated in mining pools or farms, not in the hands of individual hobbyists. Centralization in pools does not happen because ASICs are inaccessible to the layman. Rather, it is because of the benefit that economies of scale provide in giving miners belonging to pools a steadier payout. Centralization in farms is largely due to the cheap energy available in certain regions. GPU friendly mining is not going to encourage significantly more at-home miners and it won’t dissolve existing mining pools either. 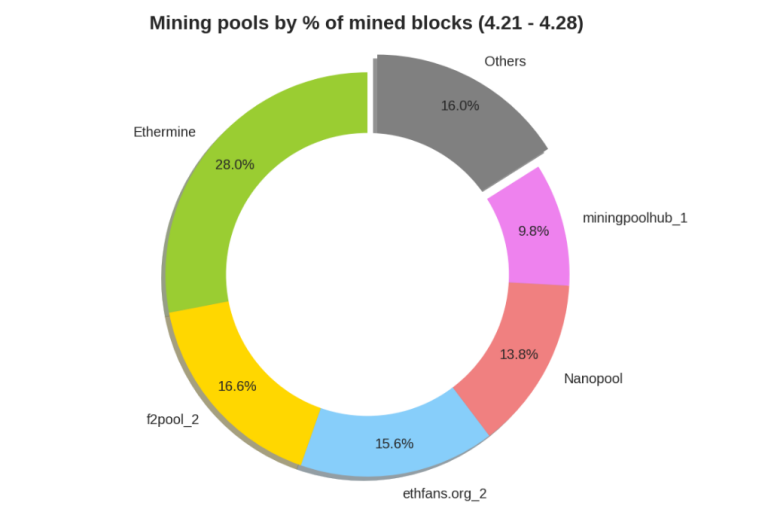 Rather than naively holding onto the hope of making mining slightly more accessible to a few at-home miners who barely make a drop in the ocean, we should disincentivize those pools which dominate from attacking the system. Here is where ASICs come in. The assumption that ASICs make a network less secure is misplaced. It comes from a failure to consider all the incentives at play. Namely, the fact that the specificity of ASICs is actually a key security component. An ASIC is a machine whose circuits are designed specifically to run a single hashing algorithm, and are useless for any other purpose, unlike GPUs which are multipurpose and can be used to mine on many different chains. The sunk cost of both ASIC development and investment functions as a one-time entry ticket into network participation. Such a security expenditure incentivizes ASIC miners to protect the chain in order to preserve the future return on their hefty hardware investment. Whereas a GPU miner does not need to be loyal to any particular hashing algorithm and can simply switch back and forth between chains to optimize their profits, or even repurpose their hardware for non-mining activities. Used GPUs can be resold for over 50 percent of their original value, while ASICs resell for only 5 percent of their original value, and that price is also dependent upon the value of the tokens it is specific to. A key factor in a chain’s security against a 51% attack is whether there is excess hardware available for an attacker to accumulate hash power with. The excess hardware in ASIC mined chains is usually close to zero, but readily available for GPU mined chains. It’s extremely difficult to quickly acquire enough ASICs to launch an attack even when it is worthwhile to, whereas there are plenty of secondary markets for GPU hashrate and AWS GPU instances. The more general purpose the hardware is, the more available excess capacity there is, and the less secure the chain is against attacks. This is not merely theoretical — multiple known 51% attacks on GPU coins have already happened. Most recently, Vertcoin and Ethereum Classic. David Vorick goes into the topic of ASICs as a security feature here and Dovey Wan has a thread on why 51% attacks are an evolutionary feature, not a bug, here. Centralization on the hardware manufacturing level is also a concern for networks, and GPUs are much more centralized on the manufacturing level than ASICs. 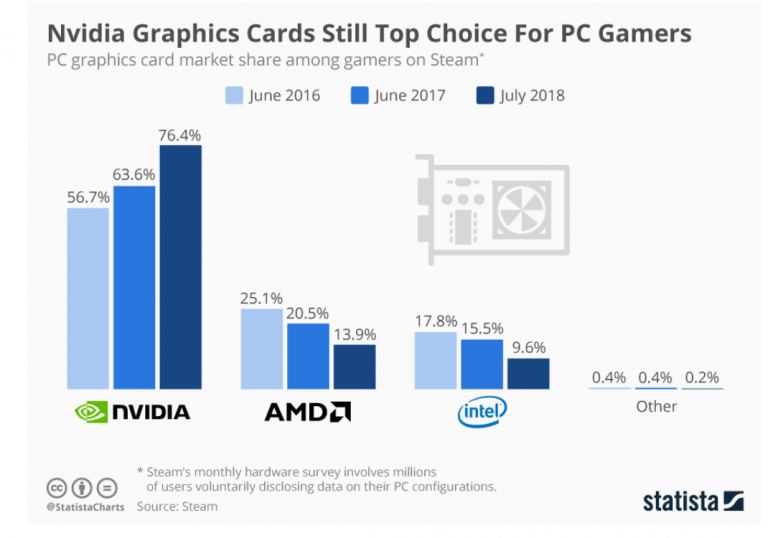 GPU manufacturing has been largely dominated by three vendors in the past two decades, whereas ASICs remain a highly competitive industry due to the arms race of higher mining margin. In the past, while a given ASIC manufacturer may have become the dominant manufacturer of machines for a given hashing algorithm, they have never been able to dominate manufacturing for all chains. It’s possible to overthrow an ASIC leader in a few years, but almost impossible to overthrow Nvidia, AMD, and Intel. Any update to an established mining algorithm comes with unproven security risks and the hassles associated with upgrading a worldwide system of miners. The upside of Ethereum adopting ProgPoW is minimal, since ASICs do not pose a large problem to the network. And while it is no longer much of a debate for Ethereum, which is soon to switch to Proof of Stake, other Proof of Work coins still face the question of whether to freely allow ASICs. Those chains should consider whether GPU mining really does increase the security of their system or if it is, in fact, a security vulnerability in itself. Many thanks to Hugo Nguyen, Hasu, David Vorick, Nic Carter, James Prestwich, and Derek Hsue for helping develop these ideas. This article is for research purposes only and we at Primitive Ventures do not currently hold any $ETH, $ETC, or stock in any ASIC or GPU manufacturing companies.